Porters have always been safe bets for me, but none have really knocked my socks off. Great Lakes Edmund Fitzgerald Porter, however, comes awfully close. This is a beer with the lighter body of a porter, but the robustness of a stout. I poured a 12oz bottle into an English nonic pint glass. The body appears to be black, but is actually dark ruby red. It initially forms a generous, dark tan, soapy head - which dissipates slowly and leaves a little lacing on the glass. The aroma is quite inviting with roasted malts, coffee, dark chocolate, oatmeal, and what I like to call "a dairy scent most stouts and porters seem to have." Before I came to appreciate craft beer and especially stouts and porters, I always found beers like this to have a "cough medicine-like" taste. Drinking Edmund Fitzgerald I can still find that flavor, but now I rather enjoy it. That taste is a combination of roasty malts and a sweetness of chocolate. Not that this is chocolate beer per se, but there definitely is a confectionary flavor to be found here. The first half of the beer is rather mild, but the second half is quite robust. Whereas most American porters tend to have just a hint of chocolate and coffee on the finish, they are very overt here. There’s not much bitterness to speak of, and certainly no lazy hops hanging around on my tongue afterwards. The coffee-like taste and bitterness is only momentary and the aftertaste is short and sweet (literally). However, this tidy finish is actually what prevents Ed Fitz from being a great beer since it’s so enjoyable while it’s in the mouth you want more. 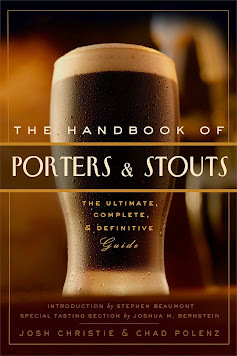 The porter has been a "working man’s beer" for centuries, and this beer definitely follows the mold. For such a seemingly strong palate, it has a very thin, light mouthfeel. It also seems to be more highly carbonated than most porters, to point of having a soda-like sensation. At 5.8% ABV, Edmund Fitzgerald Porter is something of an all-purpose beer. It would probably work best as a pub beverage, but I could see this pairing with meals that don’t have a lot of spice. It would also work well as a session beer, or an after-dinner liquid dessert. I’ve yet to encounter a porter I would consider an amazing beer, but Great Lakes Edmund Fitzgerald comes very close to that title. I enjoy its good taste, and the easy drinkability seals the deal. At $8.49 for a six-pack it’s also a fantastic bargain in the craft beer world and could entice some Joe and Jane Six Packs to give it a try.